Zaevion Dobson was a 15-year old student and football player who died while heroically shielding friends from gang-related shootings in December 2015. His sacrifice has been noted from the White House to ESPN. 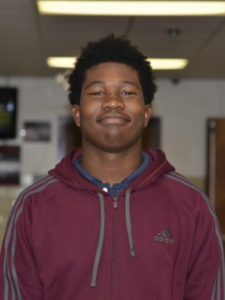 Zaevion was known for his positive attitude and infectious joyfulness. He was a leader in the community as part of the 100 Black Men of Greater Knoxville’s mentor program and played for the Fulton High School Falcons football team, wearing the number 24. To honor Dobson’s legacy, University of Tennessee football player Todd Kelly, Jr. chose to wear the number 24 beginning with the 2016 football season. Zaevion’s actions have been lauded by President Barack Obama, who called him a “hero”. Zaevion was honored posthumously with the Arthur Ashe Courage Award at the July 2016 ESPY Awards.